Battle ropes are one of the most criminally underused gym items, whenever they are set up you’ll get an initial charge of people who are excited to give them a go but soon realise that they don’t know what they are doing. Three weeks later the ropes are barely touched, and when they are they’re inevitably used incorrectly. This is a shame because correctly used, the battle rope can be one of the most effective pieces of fitness equipment out there. They have been shown to improve aerobic capacity (the amount of oxygen you can bring in to your lungs whilst exercising), they build isometric strength, and they work both the upper and lower body. Studies have shown that Battle ropes provide a higher metabolic demand on the body than traditional resistance exercises . The study by Ratamess et al (2015) found that average oxygen consumption was significantly higher when training with battle ropes then when squatting, deadlifting, or lunging. 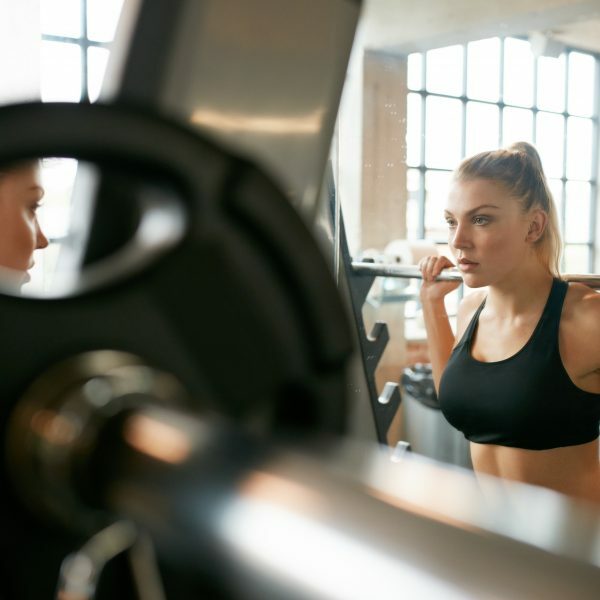 More oxygen consumed means more calories burned during and even after a workout (there’s a lot of science behind this but basically it’s called EPOC or the afterburn effect). How do I use battle ropes? We’re not going to go into the exact exercises that you need to perform here, they can all be easily found on YouTube and it’s a lot easier to watch someone perform an exercise than it is to read and then understand it. What we will do is cover how to add them to your program, what specific situations they are best suited for, and how to get the most out of them. Battle ropes are a very demanding exercise, they are not designed to be used for 30-40 minutes – though with training this is possible. They are at their most effective when they are being used for short sharp intervals. A 2015 study found that working for 30 seconds and resting for 60 seconds was more effective than increasing the rest to 120 seconds . So what does this mean? It means that you will get better results from utilising high intensity interval training than you will from anything else. You could keep it simple like they did in the study and perform eight sets of 30 seconds work with a minutes rest after each set. Alternatively you could try something like TABATA training, which is where you perform 20 seconds of work followed by 10 seconds of rest, and repeat it eight times. The best time to add these battle rope sets into your program would be at the end as a form of finisher exercise. But you don’t have to perform battle rope exercises on their own, they are perfect for circuit training. The beauty of circuit training is that you can customise it to 1) fit in with the equipment you have available to you 2) suit your unique goals, and 3) suit your level of fitness. This means that circuit training can be beneficial to anyone in any circumstance. For the purposes of this article we are going to create a small circuit to use as an example. But yours can be made to suit your circumstances. This circuit will require some knowledge of exercise techniques and equipment, and will require quite a bit of fitness equipment. Don’t worry if you haven’t got it, just replace exercises that you don’t know/can’t do with ones that are similar. We will follow a traditional high intensity interval training set up, but will use 40 seconds of work followed by 20 seconds of rest. If at first you find this too difficult to complete, then just increase the rest time or lower the working time, or both! If you are finding it too easy, then increase the weights of the dumbbells, or increase the speed and intensity of the work that you are doing. You do not need to lower the rest times further. A good circuit will cover all of the major muscle groups: chest, back, shoulders, legs, and lower back, and most of the exercises will work a number of different muscles rather than concentrating on just one (in other words, more squats and less bicep curls). So here is an example of a circuit that you could follow which maximises the use of battle ropes. Remember, if it’s too difficult then increase rest and shorten work time. Good luck!